As much as creating great videos with personality can sell your YouTube channel, the way your channel looks and feels is equally important. Take a brief look around any popular YouTuber’s channel and you’ll see that they’ve invested time and thought into creating beautiful, eye-catching channel art for it. If you’re still in the dark about how to create YouTube channel art; we’re here to help. Here’s what you need to know. The best video editor for YouTubers - Wondershare Filmora, not only allows you to cut, crop, rotate, reverse videos, but also offers your advanced features like PIP, Green Screen, or audio mixing. What's more, you can find lots of effects for Fashion, gaming, education, tutorial, sports, etc. Check this article to know more. YouTube channel art includes thumbnails, banners, watermarks, and icons. Thumbnails will help viewers decide to watch your videos, and a personalized banner will tell people who you are and what your vlog is about. Watermarks both label your work as yours and protect it from theft. Your icon is the avatar you will use to communicate with your subscribers. You can totally change the look and feel of the page and the changes will carry forwards for the page display on all platforms. However, the elements might look slightly different on desktops, mobile devices, and TV screens. A banner sits at the top of your channel, welcoming viewers to your videos and promoting your brand. Having your brand front and center here is a great plan, as it gives people confidence in who they are watching, as well as raising your brand profile on the platform. Watermarking your videos, banner and other content you produce can help protect your hard work. Sharing should be encouraged on YouTube, but you should absolutely get the credit for your content. A watermark ensures your brand is being acknowledged whenever someone hits the share button. Developing unique thumbnails can really encourage more video views. Rather than just using a still from your actual video, you can create unique art to accompany each upload, describing what’s within the video and motivating people to watch. If you’re building a brand on YouTube, you should absolutely have a recognizable logo or, at least, an icon that is unique to you. This way you’ll start to be recognized whenever people stumble across your footage, even if it’s on another platform such as Facebook. Adding links to your YouTube channel is a no-brainer. After all, if people love your channel, why not get them engaged on your social networks and website too? Adding links is easy in the Creator Studio, and you can choose to have links overlaid on your channel art too. Keeping in mind people will access your channel on a variety of screen sizes, you’re going to need to design channel art that fits within these proportions and displays correctly no matter how it’s viewed. 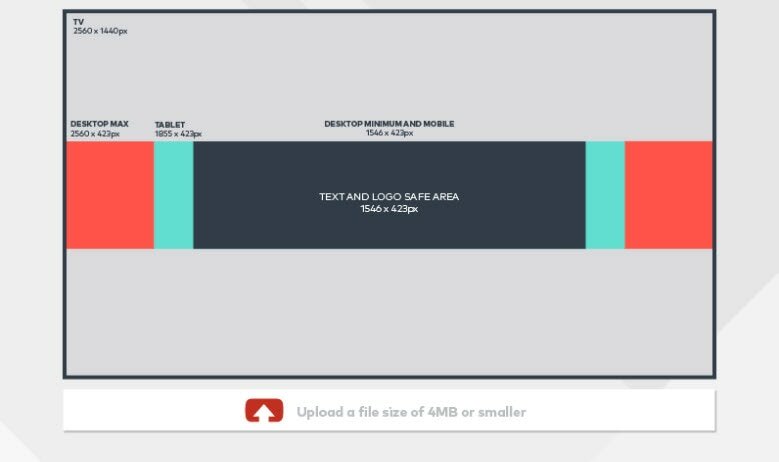 Use the ‘safe area’ displayed on YouTube to ensure your logo and branding is correct on every screen size. 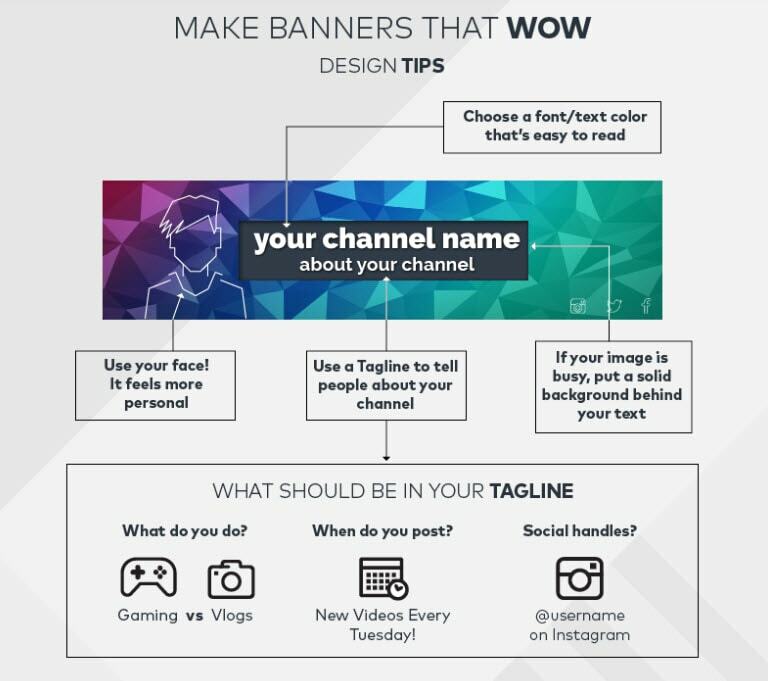 Why should you care about channel art? If you’re wondering if you should really be bothered about channel art, the answer is you absolutely should. Channel art is all about branding, and in today’s cluttered web world, having a strong, recognizable brand is crucial. Rather than simply having a place to upload some videos, your YouTube channel can become a powerful marketing tool for promoting your brand and values. According to research, we are a highly visual species. 65 per cent of people learn better visually, and when you’re thinking about retaining information, 90 per cent of what we store in our brains is visual information. By presenting your viewers with visual content, you’re helping them take it in, retain it better and remember you for the future. A thumbnail is the image that represents your video in YouTube’s search results. There are things you can do with your thumbnail that will make it more likely to get clicked on. Always upload your own thumbnail rather than relying on the one YouTube automatically chooses, and make sure the thumbnail you use is related to the content of your video. One of the most important things to remember is that thumbnails are small. It is better if there is not a lot going on in them because details will be hard to see. If there is any text in your thumbnail make sure it is huge so that people can still read it once it has been shrunken down. If you are making a thumbnail for a vlog entry then choose a shot that has you in it, particularly one where you are not too far away from the camera. It is also a good idea if the thumbnails for your vlog entries all look similar so it is easy for people browsing to recognize which videos are yours. Watermarks work best when they are small and transparent so they do not distract viewers from your videos. If your watermark is colored, there should not be more than one or two colors. Unlike the full version of your logo, you do not want your watermark to be overly eye-catching. Produced by Adobe, Photoshop has been leading the way in professional design software for many years. When it comes to creating logos, banners, editing photos and more, nothing really comes close to the power of this software. While the professional version of Photoshop can set you back several hundreds of dollars, Photoshop Elements is much more affordable at around the $100 mark, and has enough functionality to do most things you’d need for your channel art. New from Adobe is Adobe Spark Post, a free to use web and iOS app which has been specifically designed to help you create beautiful channel art. Although it can only provide basic channel art without much in the way of editing tools, if you’re new to graphic design and want a free, user friendly way to create your art, this could be worth considering. For a good, user friendly way to create professional looking YouTube channel art, Fotor is a pretty solid choice. Using a simple drag and drop interface, users can create a unique channel banner using preset designs or even uploading their own artwork. The developers of Fotor have built in a bespoke banner maker, preset to the exact size required for YouTube channel art. This makes it easier than ever to ensure you develop excellent channel art which will display correctly on any device. Editing is limited, so advanced designers will probably find it all a bit too simplistic, but for the man on the street, this is a perfect choice. Canva really stands out from the competition for the amount of customizable design elements present on the website. From shapes to backgrounds, images to text, there are thousands of awesome, professional looking elements to choose from to create your unique channel art. Similar to Fotor, those who know what they’re doing in the design field will find it lacking in functionality, and there’s an irritating glitch where you can’t stretch more than one image to the ends of the canvas. Watch out for premium design elements too, as lots require payment, although usually not more than a dollar or two. For a good middle ground between expensive but powerful Photoshop and free but limited options like Canva and Fotor, PicMonkey is a great solution. It has plenty of design functionality, from working with layers to performing tasks like blending, and you can free draw and erase parts of your image too. We found PicMonkey capable of pretty much everything you’d need to create a professional YouTube banner, and it’s a fair bit more user friendly than Photoshop too. It’s not free, but at a cost of $7.99 per month it’s pretty affordable for what you get. Another web based freemium service, Snappa has the added advantage of coming pre-loaded with all the dimensions of popular social channel’s banners, profile images and more, including YouTube. 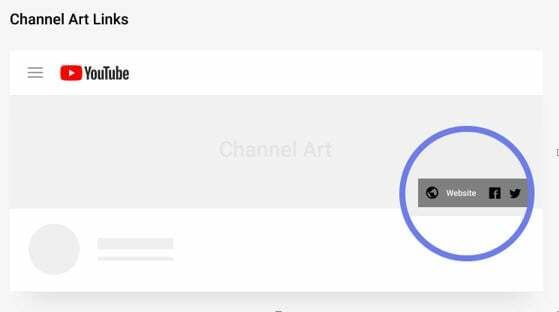 That means you can work on your channel art directly, seeing clearly which parts will be displayed on what devices. The drawback to this particular platform is the sheer volume of stock images already on the site. There are some nice ones, but due to the lack of organization you need to scroll through quite a few mediocre options to find them. There’s also a fairly ungenerous limit on how many items you can create and save without upgrading, but the pro version is fairly affordable at just $10 a month. There are many other services out there to help you create your YouTube channel art and what’s best for you will depend on the type of channel art you’re looking to create, as well as your own abilities with graphic design. Try some of the free versions before you jump in and pay for things, as some are actually really rather good.